It’s always sad to see a creature of sea the washed up on the beach. 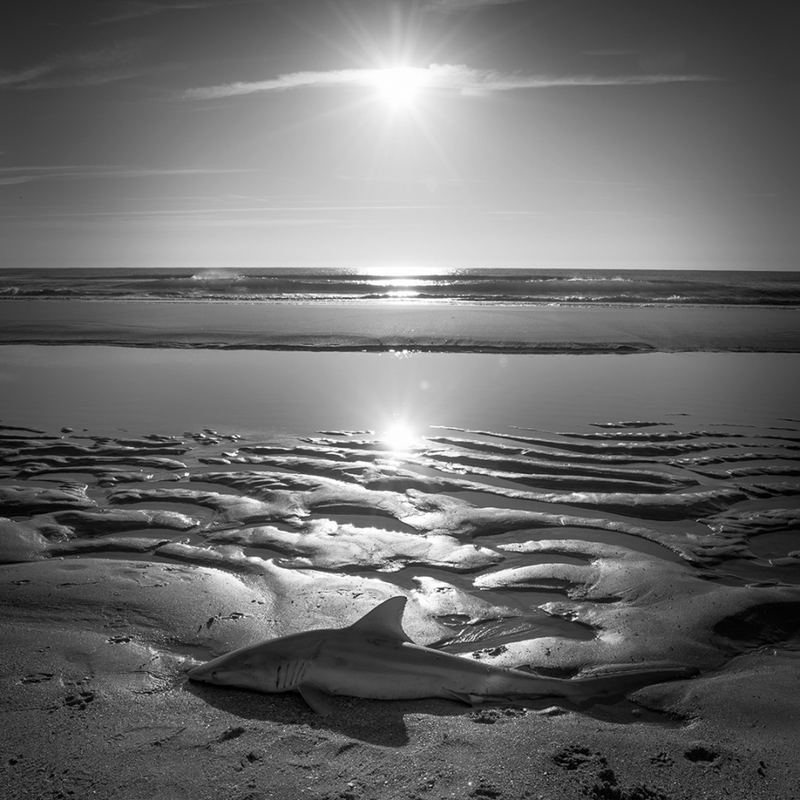 This shark was uninjured that I could see, he seemed so “at peace” laying along the ripples of the beach. People walked by, looked and left, dogs would take a few sniffs then move on. The next day I went back and there was no sign of the shark. The tides had taken him to another place. Shooting with the A7Rii, it’s a pleasure to work with this camera. 1/320, f9.0, ISO100, 3-stop soft GND filter, processed to B&W in Alien Skin. © 2019 Before The Coffee|ProPhoto Photographer Site by NetRivet, Inc.